The Ontario government committed to universal energy labeling of homes within the Green Energy & Economy Act of 2009. Under this legislation, every resale home would require an audit that discloses energy consumption. The government’s commitment for energy labeling at a time of listing is also part of the Minister of Energy’s 2016 Mandate Letter from the Premier of Ontario’s Climate Change Action Plan. Simply put, we won’t reach out 2030 environmental targets without it! Home buyers know what the monthly costs of home ownership will be. Sellers and realtors are rewarded for above-average home energy performance. Ontario benefits as it becomes a greener, more efficient province that’s tackling climate change. Substantial GHG reductions can be achieved in the residential building sector with minimum effort for maximum results. Improving energy efficiency of homes by implementing HER&D requirements will encourage Ontarians to contribute to the fight against climate change and increase the value of their homes. 10.9% of Ontario’s carbon emissions come from the residential building sector. HER&D does not deter buyers from purchasing homes. Instead, buyers will be more inclined to place greater value on energy efficiency. Improved consumer protection. More information leads to market transformation where buyers make informed choices based on energy performance. Increases the valuation of energy efficient homes. 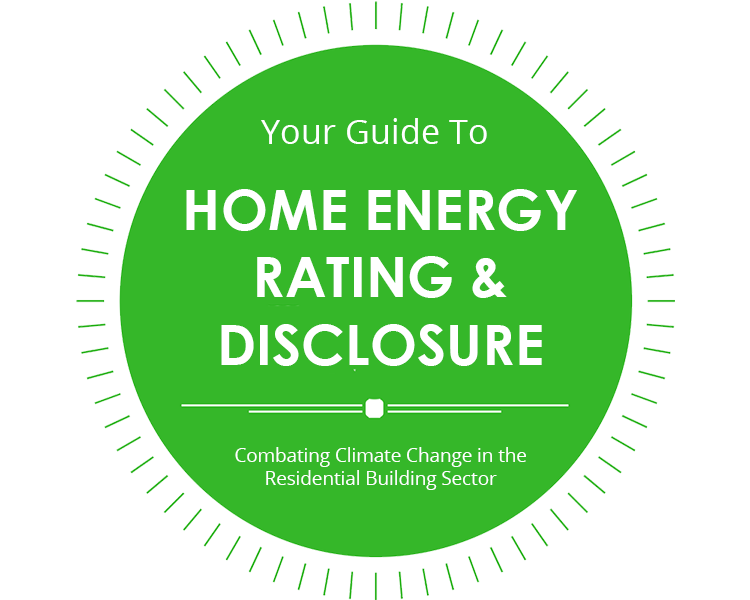 A study of EU jurisdictions found that a HER&D rating improvement is likely to be interpreted by consumers as a significant improvement in energy efficiency, which translates to 2-6% appreciation in home value. In Australia, sales data from 5000 homes indicated that, on average, each additional HER&D program star rating resulted in a 3% increase in the home sale price. Encourages home owners to implement energy efficiency upgrades. Energy Efficiency upgrades to residential buildings reduce GHG emissions and carbon footprint. Research in jurisdictions where HER&D exists demonstrates that between 13-37% of homeowners conducted energy efficiency improvements or included more improvements than originally planned. Implementing universal HER&D requirements will allow for the transformational change required in the residential building sector to fight climate change and assist Ontario in achieving its climate and energy targets. Note: The Home Energy Rating and Disclosure Program is section 7.1 of Ontario’s Climate Change Action Plan. More information can be found here.